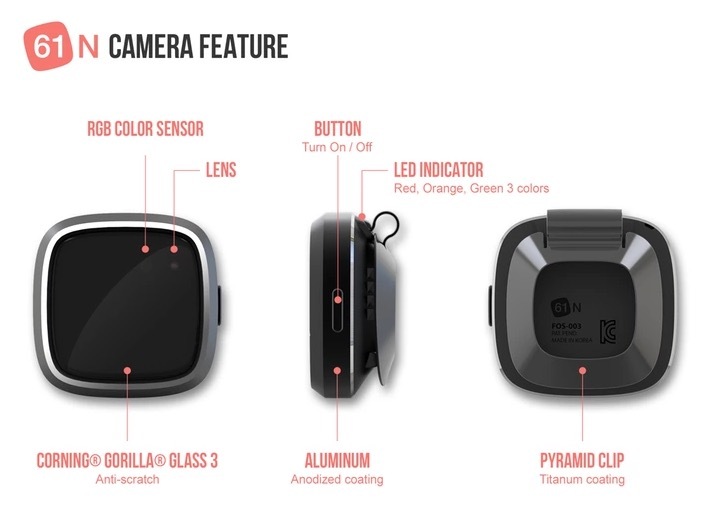 61N team, has created a new wearable life logging camera aptly named the 61N, which is capable of recording your life without any interaction and then will automatically upload the images to the cloud for safekeeping. The 61N camera comes supplied with its own companion application that allows you to view and save your photos for editing at a later time. Check out the video below to learn more about the cameras features and functions. The 61N life logging camera has taken to Kickstarter to raise the $50,000 it requires to move from a concept into production. Its creators explain a little more about its inspiration, design and functionality. 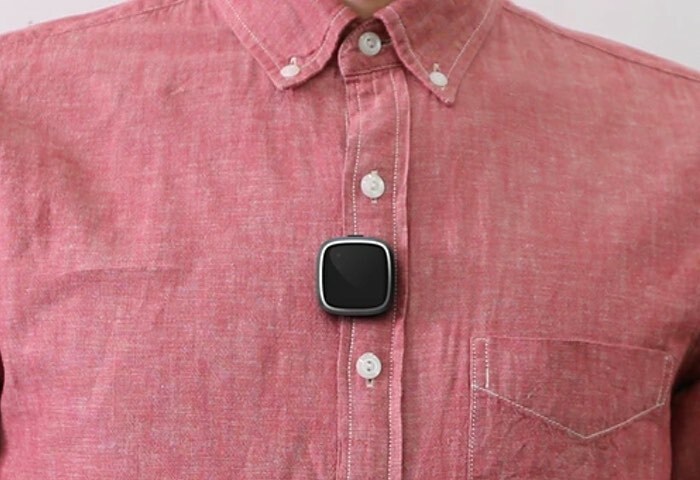 61N is a wearable camera offered with a mobile App & cloud storage. With the 61N camera you do not need to constantly pull out your camera to take photos. 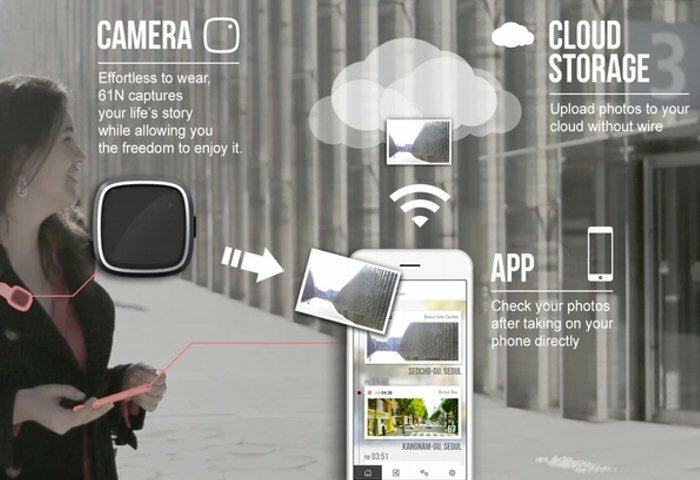 Your mind and hands will finally be free from your camera while you are using the 61N. You can also check photos on your cell phone instantly after shooting photos with the 61N camera. A compact and shiny camera with lighting sensor, gyro sensor and GPS will take photos per second / minute you set. It has Bluetooth and WiFi connections for data transfer and you can shoot both photos & videos. The LED indicator will show you the charging level of battery and ‘on & off’ status as well. To make a pledge to own one of the new 61N wearable cameras jump over to the Kickstarter crowdfunding website via the link below where pledges are available to back from just $71 for early bird backers.